On Thursday, Israeli Prime Minister Benjamin Netanyahu visited the Israel-Lebanon border to brief foreign diplomats on the country’s military operation near its northern border. On Tuesday, Israeli forces launched an operation to expose and destroy tunnels dug by Hezbollah from southern Lebanon into Israeli territory. In a press statement, Israeli Prime Minister Benjamin Netanyahu stated that Hezbollah’s tunnels were built “to attack and murder innocent Israeli men, women, and children”. An Israeli army spokesperson, Lt. Col. Jonathan Conricus, said the tunnel exposed Tuesday originated from a house in southern Lebanon and extended more than 35 meters into Israel. In response to the Israeli military’s operation, UNIFIL peacekeepers have increased their patrols along the Blue Line, together with the Lebanese Armed Forces (LAF) to “maintain the overall stability” and avoid any misunderstandings that could potentially lead to any escalation, according to UNIFIL’s statement. 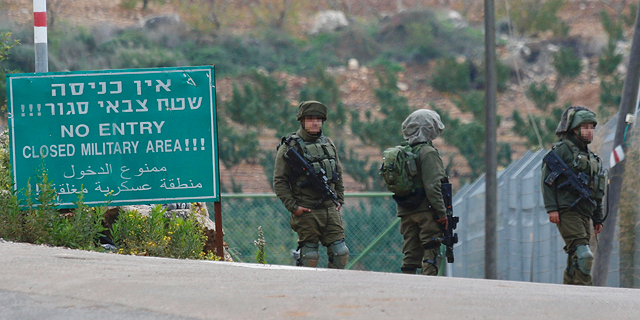 UNIFIL said it was informed by the Israeli military about the operation. The United Nations Interim Force in Lebanon (UNIFIL) is one of the longest-running U.N. peacekeeping missions, as it celebrated its fortieth anniversary this March. UNIFIL consists of 10,460 peacekeepers from 41 troop-contributing countries. During the Second Lebanon War in 2006, the United Nations Security Council adopted Resolution 1701 calling for an immediate ceasefire and authorizing UNIFIL to assist the Lebanese government in securing its borders to prevent the entry of illegal arms. Tripartite meetings between UNIFIL, the Lebanese Armed Forces, and Israel took place on Wednesday morning. According to Hezbollah’s new outlet Al-Manar, the Lebanese forces called the tunnels “mere allegations” and asked for coordinates of their location. Netanyahu called the tunnels a “grave violation of Israel’s sovereignty and a gross violation of U.N. Security Council Resolution 1701”. “Israel has no interest in escalation,” said Israel’s ambassador to the UN Danny Danon at a press briefing on Tuesday. U.S. Secretary of State Mike Pompeo met with Netanyahu on Monday in Brussels. Netanyahu stated that the two “discussed the imposition of new sanctions against Hezbollah”. Netanyahu updated U.N. Secretary-General Antonio Guterres on the details of the operation and said he expects the U.N. to strongly condemn Hezbollah’s violation of resolution 1701 Israel's sovereignty in a phone call, according to the Government’s press office. Netanyahu appointed himself as Israel’s defense minister after the resignation of the former minister, Avigdor Lieberman, last month. On Sunday, Israeli police recommended indicting Netanyahu on charges of corruption, fraud, and bribery in one of three ongoing criminal investigations into his conduct. Israel is expected to go to the polls in November 2019, but there is a possibility that early elections will be called before, as Netanyahu’s coalition rests on a razor-thin majority of 61 of the 120 seats in the Israeli parliament. Hezbollah claims that the operation's real purpose is to distract attention from the multiple criminal investigations against Netanyahu. “Israel's right to defend its national security and prevent illegal entry into the country is indisputable,” the Russian Foreign Ministry Spokesperson Maria Zakharova said on Wednesday. “We call for all sides to show necessary responsibility and restraint, and avoid any provocative acts and strong statements that could escalate tensions” she added. Russia does not recognize Hezbollah as a terrorist organization.